You may wonder: what the frack is fracking? Hydraulic fracturing, or fracking, is the process by which water, sand, and chemical additives are pumped into a well to fracture deep underground formations and allow natural gas to flow to the surface. Fracking has reduced our dependence on foreign oil, decreased carbon emissions and made significant contributions to our nation’s economy. However, the technology can have significant social and environmental impacts, according to Duke professor Avner Vengosh. Vengosh joined Brooks Rainey Pearson from the Nicholas Institute, David Burnett from Texas A&M’s Global Petroleum Research Institute and Keith McLeroy from Texas’ Engineering Extension Service for an in-depth discussion about fracking, April 9. The event was sponsored by Environmental Alliance and the Drilling, Environment, and Economics Network, two on-campus student groups. Vengosh described how shale gas drilling and fracking can disturb residents of formerly quiet towns with nearly-constant noise, odor and truck traffic. “This is changing the dynamics of small towns in Pennsylvania [and other states] pretty significantly,” he said. Vengosh said that fracking can also impact air and water quality — and thus human health. Earlier this year, he published the first peer-reviewed paper to examine well-water contamination from shale-gas drilling and hydrofracking. He and his colleagues found that drinking water wells within 1 km of a drilling operation were more likely to have high concentrations of methane, the primary component of natural gas. Fracking is also very water-intensive, requiring millions of gallons of water at drilling each site. In areas experiencing drought conditions, this presents a serious problem, Vengosh said. Many companies recycle the water they produce. However, the water that flows out differs significantly from water that went in, often containing high levels of salts, heavy metals and naturally-occurring radionuclides that can be difficult to remove. According to Vengosh, some companies bypass that difficulty by discharging their wastewater to nearby rivers or streams. “It’s not nice, but it’s done,” he said. According to Pearson, fracking exists within a unique regulatory environment. The technology is exempt from several national environmental policies that regulate hazardous waste disposal and environmental cleanup, among other things. Environmentalists often cite the so-called “Halliburton loophole,” which exempts fracking from the Safe Drinking Water Act. Many states include fracking under the umbrella of their existing oil and gas regulations, but those regulations aren’t necessarily sufficient, Pearson said. 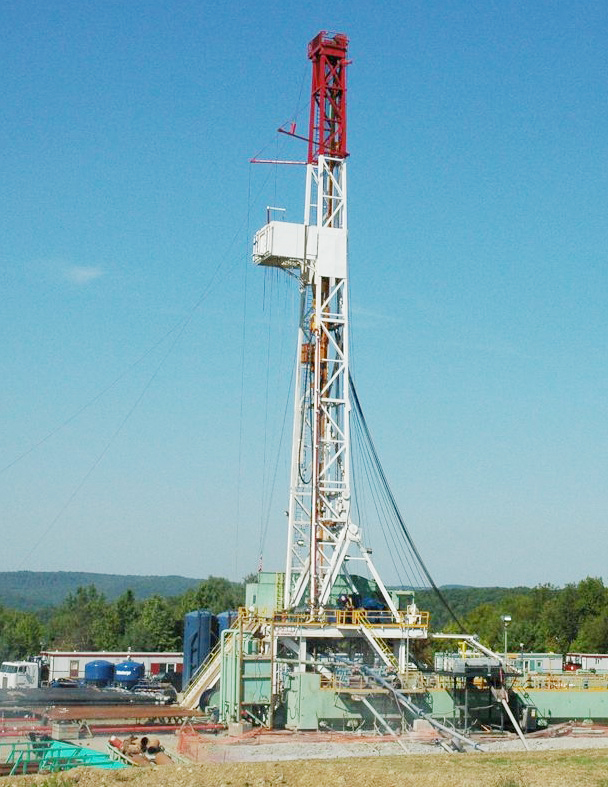 Baseline data — such as air and water quality information — is collected before drilling begins and allows researchers to assess the direct environmental impacts of fracking. “Without baseline data, it’s very hard for regulatory agencies to say ‘the industry caused this contamination,'” Pearson said. Burnett discussed efforts to “reach across the aisle between the environmentalists and the oilmen” to develop environmentally-friendly drill programs. The first step is measurement, he said. The panel concluded by emphasizing that, for all its problems, natural gas will help us reduce our reliance on oil and coal and transition to an an era of cleaner energy. “The effects are there, but you have to see the environmental impacts of the alternatives, which perhaps are worse,” Vengosh said. You may have some superhero in you, according to a speaker at TEDxDuke, March 31. Borrowing the format of TED, a popular lecture series, the second-annual event featured 12 mini-lectures spanning subjects from poetry to ballet to historical architecture. Below, I discuss the three speakers that resonated with me the most. Batman might win in a popularity contest, but fellow superhero the Green Lantern has a lot to teach us, according to Dasan Ahanu. Ahanu described several parallels between artists and the green-garbed superhero. 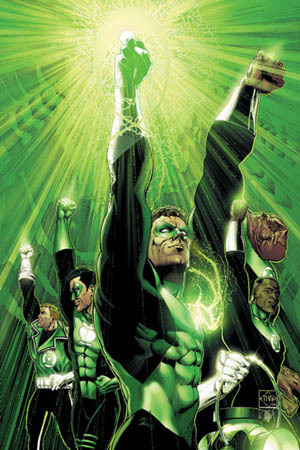 The Green Lantern overcomes his fear and protects the Earth by tapping into an energy source with a magic ring. Artists channel power too, Ahanu said — but with a pen, paintbrush or microphone instead of a fancy ring. Artists, too, have to overcome fear, but it’s fear of criticism and embarrassment, rather than fear of interstellar criminals (fortunately). Also like the Lantern, artists access a central source of energy — creativity. “The only limit to their power is imagination,” Ahanu said. Patty Kennedy opened with a clip from the Matrix, when Morpheus tells Neo to jump from one building to another. Neo tries… and fails. Babies fall all the time when they’re learning how to walk, but that doesn’t keep them from trying. 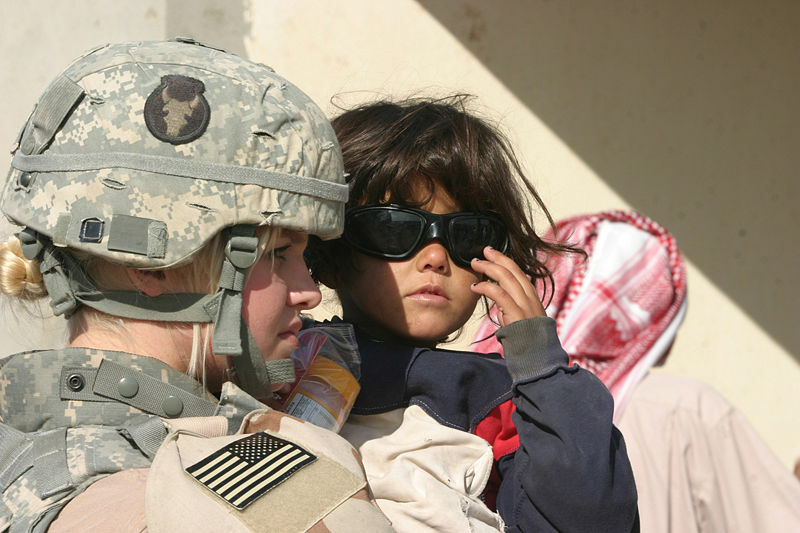 Courage doesn’t imply the absence of fear, she said. It means overcoming your fear — jumping even though you know you might fall. History is like castor oil, Jimmy Soni said. It’s good for us, but it tastes bad. Our cultural past is full of interesting stories, Soni said. Working those stories into the curriculum could make history a lot more appetizing. Have you ever wondered what people in the Middle Ages would have thought about airplanes? Or automatic doors? What would we have thought about iPhones 10 years ago? Advanced technology can seem like magic, scientist Richard Dawkins said at a public lecture on March 29. But as cool as these technologies are, we know there’s nothing mystical about them. Dawkins made the case that science, too, can seem magical or divinely-inspired. Take human evolution; some people believe that God, instead of natural selection, is responsible for the incredible complexity of life on Earth. “Evolution is not like that, but a lot of people think it is,” Dawkins said. “Changes come about through the process of natural selection, which is often thought to be random chance, even though it is the opposite of random chance. It works because every one of those steps is only slightly improbable. 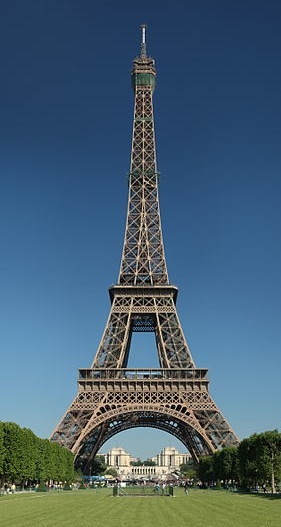 But after 1,000 steps, you can end up with something beautiful, looking improbably like it was designed,” he explained. Given a sufficiently large number of generations, very significant changes can occur. But evolution doesn’t guarantee change, Dawkins said. Chimpanzees, for example, have had as much time to evolve as we have. And yet they resemble our African ape ancestor more closely than we do. 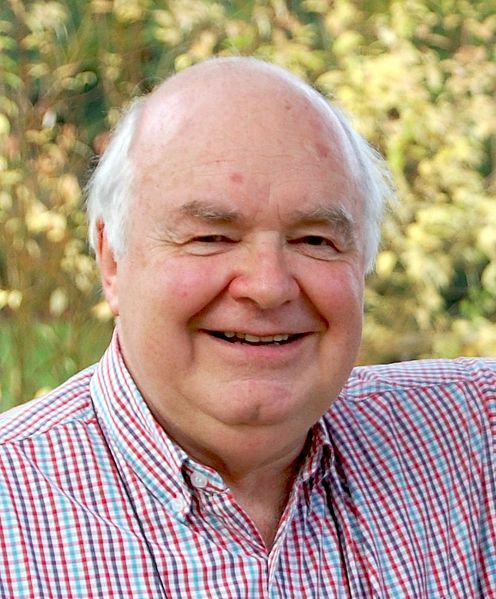 When Christian academic John Lennox spoke at Duke earlier this year, he argued that science and religion are not mutually exclusive. Dawkins, an evolutionary biologist, falls on the other end of the faith vs. science spectrum. He said he doesn’t believe in religion, instead advocating an evidence-based approach to life. “There are lots of people who actually do believe that a first century prophet turned water into wine, walked on water and fed the 5,000. There’s no more reason to believe that than to believe Cinderella’s fairy godmother turned a pumpkin into a carriage,” Dawkins said. If something happens that science can’t explain, he argued that we should keep improving our science until we can explain it. “The first thing people did besides eat and reproduce was tell stories,” reporter Charles Fishman said during a lunch with Duke students and visiting Media Fellow journalists, March 19. As a writer for the business magazine Fast Company, Fishman tells stories for a living. Fishman got his start at the Washington Post, later working at the Orlando Sentinel and Raleigh’s own News & Observer. He said that his years at the Post were a formative experience. Fishman described the process behind some of his major stories, including a 2003 article about Wal-Mart. Assigned to write about the massive multinational retailer, Fishman found that Wal-Mart wields an inordinate amount of influence over its suppliers. Proctor & Gamble, for example, employs 300 people merely to manage its business with Wal-Mart. Most suppliers have at least one representative located near in Wal-Mart’s Bentonville, Arkansas headquarters. Fishman wanted to learn more. However, he realized that no company representative would want to speak with him, when candidness could cost them their jobs. “There was more reason for someone in the C.I.A. to talk to me than one of these people,” Fishman said. A friend gave him access to a listserv of marketing professionals; he used it to reach out to people who had previously worked for supplier companies. He discovered a network of people who were willing to talk, because their jobs weren’t on line. 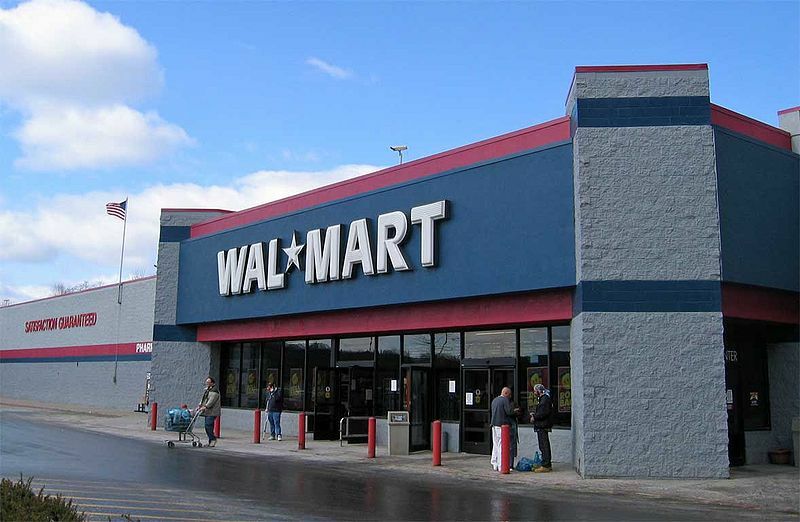 Fishman eventually wrote a whole book about Wal-Mart. The moral of the story? In today’s world, it is increasingly possible to find people that know the answer to your question. Fishman also advised the group of assembled students and journalists to keep real people in the picture. Did you know that rats can laugh? “It’s one of the most remarkable phenomena I’ve seen in my life,” renowned researcher Jaak Panksepp said during a lecture at Duke, March 15. Panksepp spoke as part of Brain Awareness Week, a series of events dedicated to increasing public awareness about brain research. Panksepp is well-known for his work in the field of affective neuroscience, or the study of the neural mechanisms that underlie emotion. He argues that important inferences about human emotions can be made from studying emotion in animals. However, this idea has met resistance in the neuroscience community. 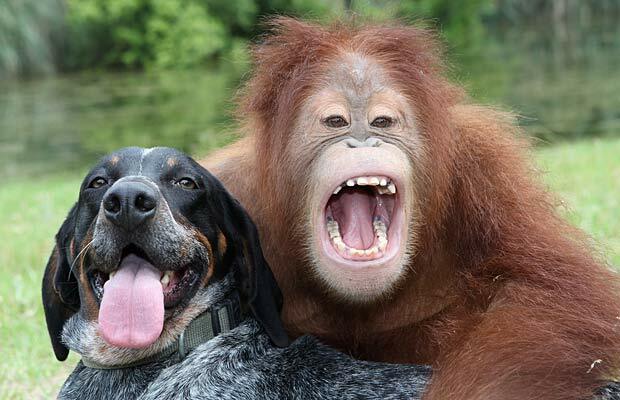 “Most scientists are skeptical that animal feelings can ever be studied,” Panksepp said. At this, he gestured toward the audience. 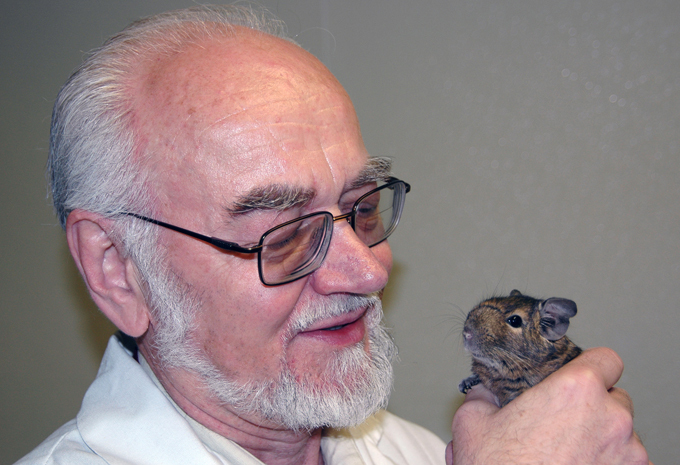 Panksepp considers the idea worth investigating, and he has conducted many experiments to test the relationship between human and animal emotions. For example, he found that rats exposed to cat hair exhibited signs of fear, even when they’d never seen a cat before. “The first question is to ask what, and to whom,” Dr. John Lennox said during a public lecture, Feb. 21. Lennox, a professor of mathematics at Oxford University, regularly debates religion with the likes of Christopher Hitchens, Richard Dawkins, Michael Shermer and Peter Singer. His talk was presented by the Veritas Forum, an organization aimed at promoting dialogue between secular and religious perspectives. “When I teach algebra at Oxford, I don’t mention God. He’s not relevant at that level of discourse. But how is it that there’s a universe for your equations? God might be relevant to that,” Lennox said. Lennox contested the idea that science and religion are mutually exclusive, arguing that it stems from a false conception of God: “If I can’t explain it, then God did it.” Thus, the more science tells us about the world, the less room there is for God. But God is not competing with science for an explanation, Lennox said. He pointed to Duke’s own motto — erudito et religio — as an example of how religion shaped the development of modern universities — and modern science. Popular fiction tells us we’ll have hoverboards, spaceships and artificial intelligence. According to USAID advisor (and Duke alum) Alex Dehgan, we’ll also have new ways of addressing humanitarian challenges — and we’ll need them. Dehgan kicked off the Student International Discussion Group‘s Water & Energy Symposium, Feb. 10. Dehgan described a patch of tropical forest where all the trees had been cut down. Trees send moisture back to the atmosphere via transpiration. No trees, no rain. The ground dried up, and the area is now 30 degrees warmer than it was before. The world of the future may look different in other ways. According to Dehgan, 51 countries will lose population between now and 2050, largely due to declining birth rates. Other countries such as India, Pakistan, Nigeria, Bangladesh, the Democratic Republic of the Congo, China, Uganda, Ethiopia and the U.S. will experience massive population growth. Some of those countries already face problems providing their people with sufficient food, energy and clean water. It took researchers 13 years and 2.7 billion dollars to sequence a single human genome for the first time. Now a company can sequence 100 genomes a day for less than $100 each. Lower costs allow humanitarian groups to deploy innovative technologies (such as vaccines) on a large scale. “The power of computing is increasing exponentially, while the cost is decreasing exponentially. This provides us with exceptional ability to use computer power to help understand and solve problems,” Dehgan said. “A kid in Africa has more power and knowledge in his hand with a smart phone than President Clinton had 15 years ago,” Dehgan said. Technologies such as remote sensing, crowd sourcing and bioinformatics will add new types of data to our pool of knowledge. Cellphones act as gateways to human knowledge, providing people with access to information they didn’t have before. Certain 3D printers, for example, now have the ability to produce 70 percent of the parts needed for another 3D printer. Online course materials such as iTunesU and MIT OpenCourseWare help support individuals that are trying to solve their own problems. Dehgan also says he hopes that a sort of “humanitarian X Prize” could identify solutions to our changing world by catalyzing new research. In 1996, the X Prize Foundation announced a $10 million reward for the first group to launch a manned, reusable vehicle into space twice within two weeks. 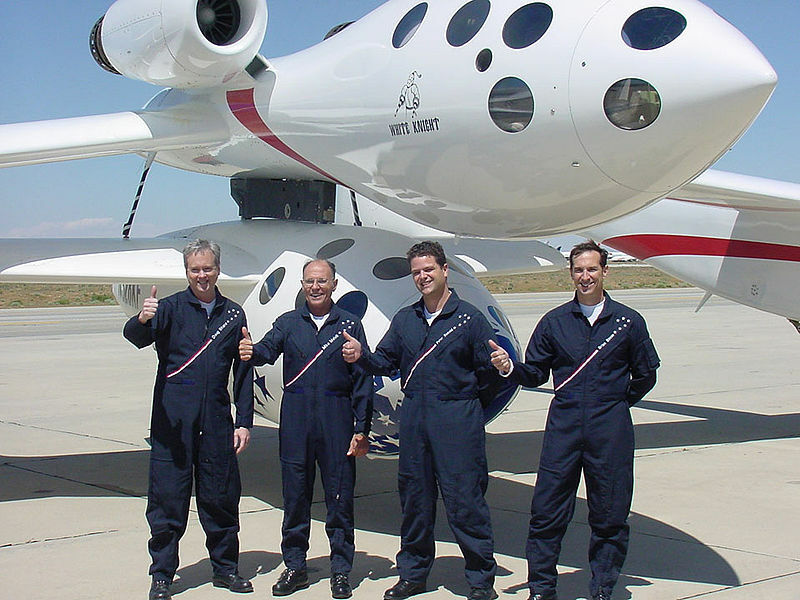 The foundation hoped to spur innovation that would make low-cost space flight possible, and they succeeded. The winning team claimed the prize in 2004, after investing $100 million in new technologies. His lab colleagues call him Batman, the Toxic Knight. To the rest of the world, he is Maxwell Leung, a PhD candidate in Duke’s environmental toxicology program. For the past five years, Leung has worked in the lab of Joel Meyer (AKA “Super-enviro-man”) fighting for environmental justice with pipettes and PCR machines. Leung spoke about his research Jan. 27 as part of the Nicholas School’s continuing series on toxicology. Leung studies how exposure to certain environmental chemicals can affect organisms’ later-life development by damaging their DNA. Cells contain two types of DNA: nuclear DNA (found in the nucleus) and mitochondrial DNA (found in mitochondria, which generate most of a cell’s energy). “When people talk about DNA damage, they are usually referring to DNA damage and revision occurring in nuclear DNA,” Leung said. 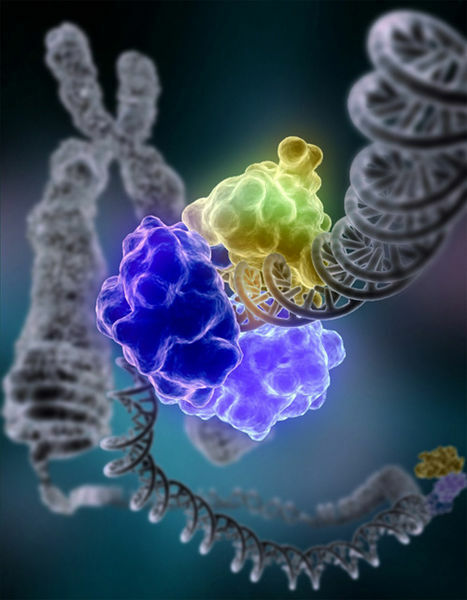 For the most part, special packaging and multiple repair mechanisms protect nuclear DNA from harm. However, mitochondrial DNA lack certain repair mechanisms, and little is known about their packaging. In the lab, Leung evaluated damage to both types of DNA by exposing worm larvae to short bursts of UV radiation. He found that, while nuclear DNA damage was partially repaired during the 24 hours between exposures, mitochondrial DNA damage continued to accumulate. Further study of the exposed worms suggested that mitochondrial DNA damage at an early life stage can cause adverse effects such as reduced energy production, DNA transcription and oxygen consumption in adults. Given this connection, Leung sought to identify environmental chemicals that are capable of damaging mitochondrial DNA. Of the six chemicals he tested, one targeted mitochondrial DNA over nuclear DNA, and caused visible neurological effects: paraquat, a widely-used herbicide. Which raises the question: if one out of six tested chemicals had this effect, then how many other environmental chemicals could cause that type of damage? Unfortunately, mitochondrial DNA damage disproportionately affects neurological tissues; neurons require a great deal of energy and thus contain large amounts of energy-producing mitochondria. Studies have found strong associations between genes in mitochondrial DNA and neurodegenerative disorders such as Parkinson’s disease. After the lecture, I spoke to Leung about why he decided to study science, and how he came to Duke. Now, Leung hopes to write his own success story. He received his undergraduate degree in Food and Nutritional Science from the University of Hong Kong, and a master’s degree in Food Toxicology from the University of Guelph in Canada. 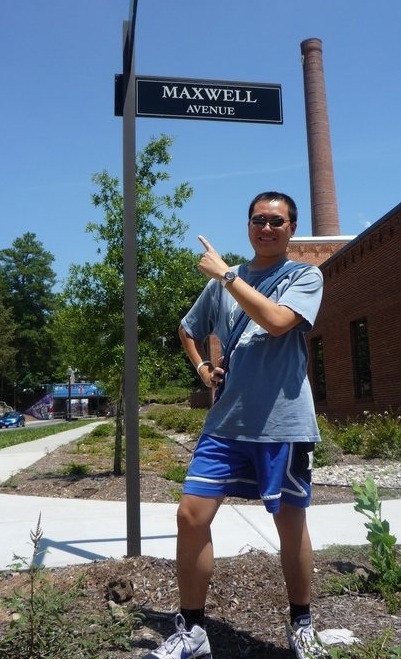 Leung came to Duke in 2007, following a visit to Joel Meyer’s newly-established environmental toxicology lab. At the time, the lab was “literally empty,” with just four PCR machines and a lab technician from Canada. Fifteen researchers work in the lab now, and each has been christened with their own superhero nickname including such characters as “Terror Byte,” the “Nano Ninja,” and “Wonder Worm Woman”. Does the world seem a little angsty-er to you? It should, it’s got way more adolescents. “There were only a billion people [on Earth] in 1800; now we have a billion teenagers,” said Andrew Revkin, a prize-winning journalist and New York Times blogger, during a lecture on Jan. 18. “Is this a sign of overpopulation?” someone in the audience joked, referring to the jam-packed classroom. Likely not, but, as Revkin discussed, resource limits and an explosive human population growth may eventually cause population or economic declines. The fact that we will reach the edge of the dish is undeniable — and it won’t be pretty. To illustrate, Revkin showed a picture of Black Friday shoppers fighting over a sale item. “Can you imagine everyone doing this?” he said. Unfortunately, we humans are historically bad at confronting problems that don’t affect us here-and-now. If in doubt, see our lackluster response to the national debt. Or global climate change, for that matter (a topic Revkin often blogs about). 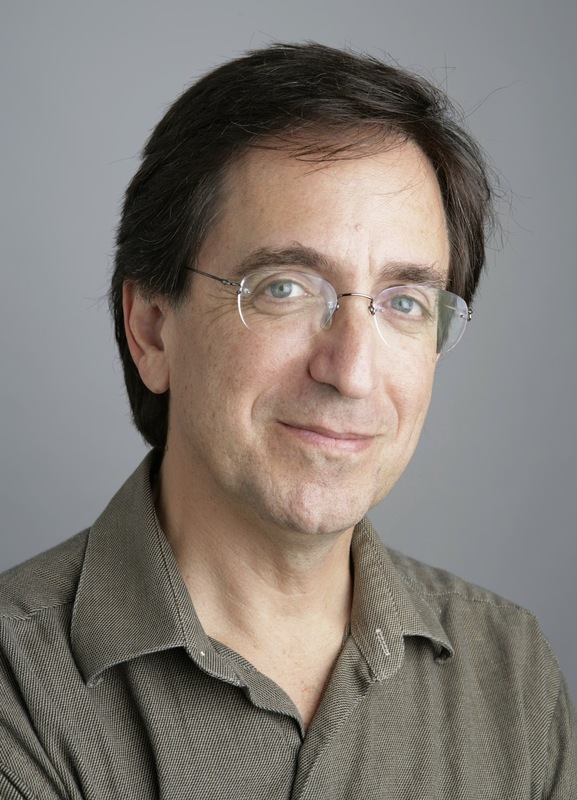 Revkin believes that global connectedness, powered by the internet, offers a solution to the many problems humanity will face in coming years. Communication between people — sharing information and exchanging ideas — has long fueled our economy and fostered human progress. According to Revkin, a network of collaborating schools, libraries, businesses and other institutions (a “knowsphere”) could help combat problems ranging from natural disaster preparedness to the treatment of diseases. “Much of human progress can be charted in relation to our linkages with others,” he said. In the 1920s, philosophers Vladimir Vernadsky and Teilhard de Chardin conceptualized the idea of a “noosphere” (from the Greek “nous”, mind and sphaira, “sphere”), a philosophical sphere of intelligence around the Earth that humans could draw from — a planet of the mind. Back then, it was just an idea. “But now, it’s happening,” Revkin said. And yet, Republican leadership has orchestrated 170 votes against environmental protection laws since the beginning of this year. According to Jackson, these votes were mostly in response to myths. She cited one false, but commonly used statistic that the EPA plans to triple its budget and hire 230,000 new regulators (a 1,200% increase over its current 17,000). “It’s striking how easy it is to get information to the American public that is scary or misleading,” Jackson said. Back in 2009, an anonymous source leaked a series of emails exchanged between British climate researchers, setting off a controversy dubbed “Climategate” by one climate skeptic blogger. The emails were the subject of intense media coverage, even though later investigations found no evidence of fraud. However, when a leading climate skeptic recanted his beliefs earlier this year, the event received very little media attention. “Right now there are two visions competing for the future of our country and our economy,” Jackson said. The first is a trust in science and a belief that our country can institute changes that will both protect the environment and create a surge of new jobs. The second vision, according to Jackson, is that “moving forward requires rolling back.” Namely, that the U.S. should maintain policies that protect polluters, thereby preserving a small number of jobs. But, “a strategy to grow our economy by doing less is not sufficient to deal with the problems we have now,” Jackson said. Furthermore, actions that benefit the environment can also benefit the economy, she argued. Contrary to belief, smart regulations generate jobs rather than eliminate them. Congress will soon pass a mercury standards act to limit toxic emissions from smokestacks. This legislation will create an estimated 31,000 short-term construction jobs and 9,000 long-term jobs. The EPA predicts that the standards will save 17,000 lives a year (via reduced incidence of heart attacks, asthma and acute bronchitis). Most Americans have grown up in a country regulated by the EPA. Thus, people may underestimate how much the agency has done during its 40-odd years of existence, Jackson said. Americans enjoy clean air and water, things that are not a given in other countries. However, budget cuts threaten enforcement while toxic substances such as mercury, lead, VOCs and nitrous oxides still pose a threat. “The future of the environmental movement is educating the public that the threat is not done,” Jackson said. However, she finds ample reason for hope in the actions that communities — red and blue alike — are taking to improve efficiency and reduce their environmental impact.